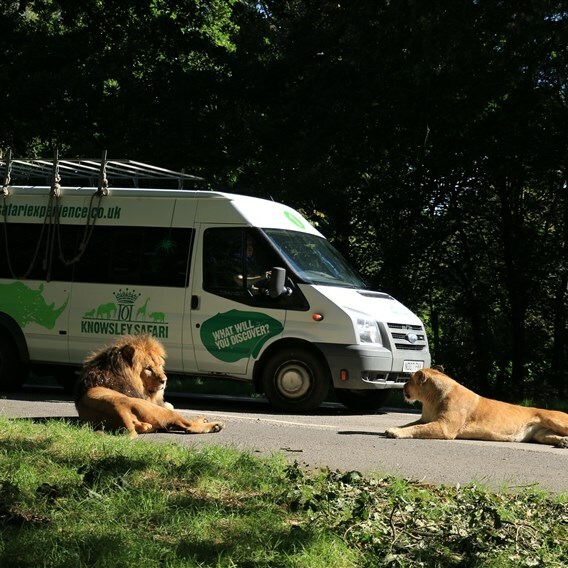 Knowsley Safari Park are passionate about animals and they want their guests to be too  Their aim is to inspire you to find out more about the world we live in and the role the amazing animals have to play in it! Across the globe there are animals of every shape, size and colour, and every one of them has a role to play that is connected to you. Some of the species are very well known, iconic and charismatic. Others you may never have heard of! All of them have amazing abilities, unique super powers that rival any comic book hero. So view the galleries, watch the videos, read surprising facts and have fun discovering them all! The Egyptian fruit bat is a species of old world bat. They are large bats with a wing span of up to 2 ft (over 60cm). Their habitat covers many countries across North Africa as they fly through tropical rainforest in search of ripening fruit. They are frugivorous (fruit eater) and their voracious appetites unfortunately lead local fruit farmers to label them pests, as they can devour a whole crop in just one night. However destructive they can be to commercial fruit farming, they are an essential part of life in the tropics because of their vital role in pollinating and seed dispersal. The bat forest will give you and your family a fantastic opportunity to see these fascinating animals as they fly past you in this walk through experience. For those that may find the excitement all too much, there are large viewing windows where you can watch the fruit bats without walking through. Whether you are walking through or behind glass, this experience is not to be missed on your visit. Lions are part of the big cat family, they are between 1.4m to 2m (4.5ft to 6.5ft) in body length and typically weigh between 120kg to 190kg, the males being the heavier and larger of the species. Of all cat species, lions are the only ones that live in a social group, formed by related females and their offspring, called a pride. A pride will often hunt together, but its the females that do most of the work and the killing. Lions hunt a variety of prey, including antelope, zebra, buffalo and wildebeest. Once the prey is killed, the male leader of the pride will take over the carcass and satisfy his hunger first, while the others wait their turn. Pride life includes maintaining a territory and defending it from other lions which has meant they have developed techniques to warn off others. A lions roar can be heard over 5 miles away and notifies any other prides that they are in the area. 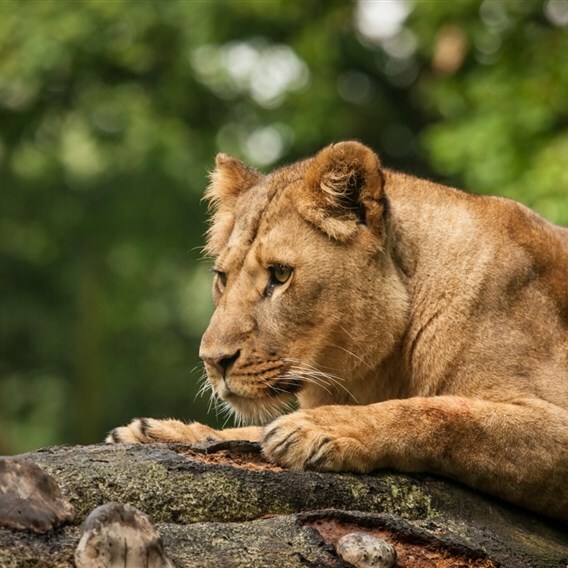 There is nothing that can prepare you for seeing an apex predator like the African lion up close and the lion reserve provides a fantastic opportunity to do just that. The safari drive takes you through the lion reserve, allowing you to watch the pride without a fence between them and your vehicle. There are many highlights along the safari but the drive-through lion reserve is one of the most popular. As big cats go, this is the largest species living today, they are the strongest and most fearless of them all. The demand for tiger parts have pushed this species to the brink of extinction. Amur Tigers are endangered, their future is not secure without protection from poaching and the preservation of tiger habitat. Tigers are hunted for their body parts and their habitat is under threat from illegal logging and human encroachment, such as agriculture & roads. The current population is thought to be as few as 540. Their forest habitat is also home to a variety of mammals, birds, insects and plant life  the tiger plays its roll in creating environmental balance. Tigers are apex predators, which means they are at the top of the food chain. The role of an apex predator is population control of animals such as deer & wild boar. Left to breed without a predator, these animals can quickly overwhelm an environment by eating too much of the vegetation, leaving the forest unable to produce a new generation of seed producing trees. Without tigers, their forest home would also be in jeopardy along with the animals they share it with. They currently have two tigers , sisters Bira and Sinda. They arrived at the park in 2010 as part of a European breeding programme. The tigers are popular with the guests and they are often asked how to tell them apart, so we thought that the images below, along with their names might help. Meerkats are small carnivorous (meat eating) mammals which are part of the Mongoose family that live in underground burrows and chambers. 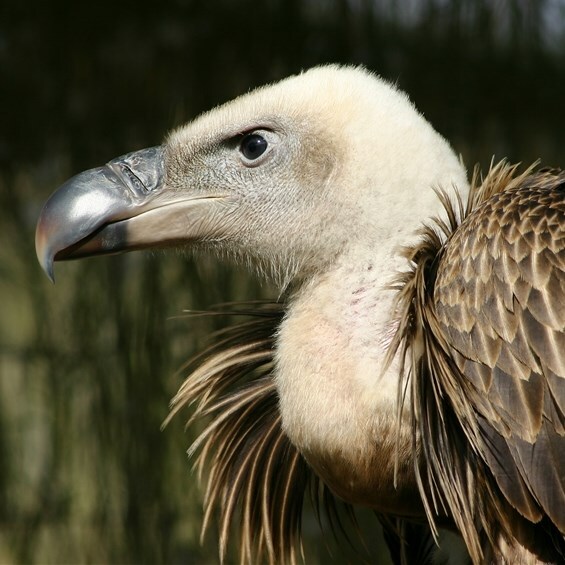 Their habitat is semi-arid areas of the western parts of Southern Africa, including the Kalahari Desert in Botswana. Standing upright on their hind legs a meerkat is approximately 25cm tall. This upright position, with their tails for balance, is very common as being a small mammal they are a prime target for predators looking for their next meal, so being able to survey their surroundings is vital for survival. Another strategy employed by Meerkats is living in social groups, which means more eyes and ears alerted to danger. A family of meerkats is called a mob with each adult member having a role either as babysitter, teacher, hunter or lookout. The lookout role is called the sentry. Individuals take turns surveying the area looking for predators and upon spotting potential danger, an alert is sounded and the mob will run for the safety of their underground burrows. Their diet includes beetle larvae, locusts, scorpions, small lizards and even some snakes. Meerkat babies are born after an 11 week gestation period and only the dominant female is allowed to breed and stay within the mob. The Apis mellifera  or Honeybee to you and me  is one of the most commonly known insects in the world. Humans began their fascination with these interesting insects thousands of years ago, when we discovered the marvellous taste of their honey! Honeybees play a very important role in helping crops to grow. As the bees fly from plant to flower looking for nectar, pollen sticks to the brightly coloured hair that covers their body. When the bees return back to the hive, they groom themselves and brush off the pollen from their fur. The pollen is then stored in a special part of the comb, as it provides protein and other necessary nutrients for the bees to survive! Baboons are among the largest of all monkey species and we call them Old World monkeys as they are from Africa, the Old World. There are smaller monkeys that spend more time in trees which are from South America, the New World. This distinction refers to a time in the earths history when the Americas, Europe, Asia & Africa were joined, before the tectonic plates on which the continents sit then separated, with plants & animals diversifying and adapting to each continents climate and ecosystem. In the wild, a baboon troop can number between 20 and over 100. Their ranges vary considerably depending on food availability and will often overlap with other troops, who usually try to avoid each other and any resulting conflict. They are highly organised and live in complex social groups, the core of which is made up of resident females who never leave the troop. Several adult males, adolescents and babies make up the rest of the group. As in most social groups of animals, it is the males role to defend and protect the troop when danger threatens. Although there may be many adult males within the troop, they will all have an established pecking order amongst themselves, with the strongest and most vigorous male taking the role of leader. If a subordinate male shows any disrespect to his senior, minor quarrels may flare up and the leader is sometimes called upon to settle the issue. Baboon babies are black when they are born and gradually turn brown by the time they are six months old. At first, the young baboon clings tightly to its mothers breast and is fairly immobile, then after a few months, it will travel around on its mothers back until becoming fully mobile at about one year old. Once young males leave their mother, they start at the bottom of the social hierachy, working their way up as they grow. On achieving adolescence, (four years), the young males will often move to other groups, sometimes even living between several troops throughout their life. A very clear and strict hierarchy exists between all the adult females and their offspring. Each mother heads up her own kinship group, within which her own offspring are given a ranking of status, right down to the youngest at the bottom of the ladder. What makes this degree of social hierarchy even more interesting is that, for example, all the offspring of a high-ranking female will all assume their mothers high status, and will be shown respect from all other lower-ranking mothers. This deference to their superiors is enforced by the babys mother or brothers for the first two years. Pondering posteriors? Why do baboons not have fur on their bottoms? Baboons are a predominantly ground dwelling animal. They find a lot of their food on the ground such as fallen fruit, seeds and roots. Spending the majority of their time on their bottoms has meant they have evolved a posterior with no fur or nerve endings. This makes for a much comfier seat on the wet cold ground. You may notice that some of the bottoms look swollen. These are the females and the swelling is their way of communicating to the males that they are ready to mate.